It has been a busy two weeks for the eKartingNews.com staff, going back-to-back with two Indiana events. ‘Back Home Again in Indiana’ for the Superkarts! USA, where the organization called home for many years, as the Fikse Wheels Pro Tour visiting the New Castle Motorsports Park for the first time in its six-year history on July 24-26. 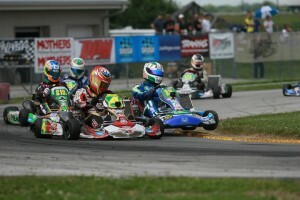 The following weekend, the United States Pro Kart Series held its third event of the year at the challenging Michiana Raceway Park in North Liberty, Indiana. Each event featured some exciting racing, with a number of stories playing out over the course of the two weekends. For complete coverage of the SummerNationals, visit the EKN Event Page. 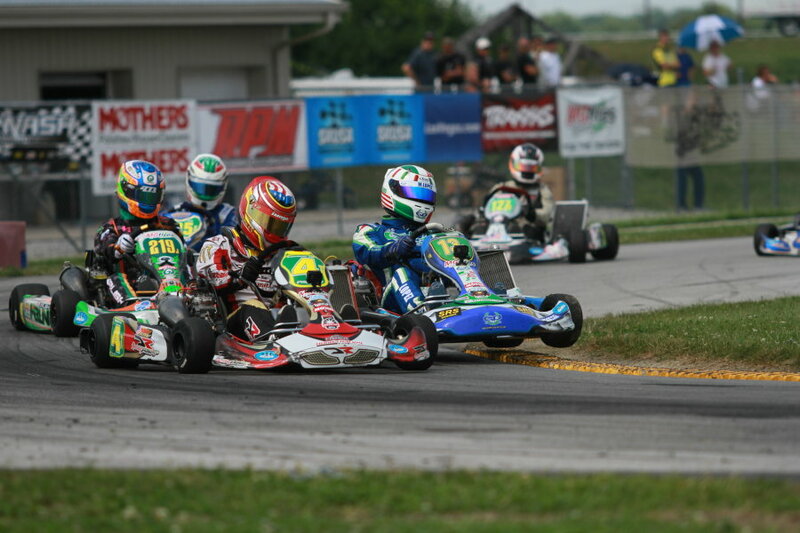 Catch all the coverage of the USPKS South Bend weekend with its EKN Event Page. It was a long three to four weeks for a number of teams and racers during the month of July. With school out and the warmer temperatures, the month is prime time for racing and other activities. Things got underway with a busy July 17-19 weekend with a number of events going on throughout the east coast. Two of them included the regional program Route 66 Sprint Series in South Bend, and the WKA Manufacturers Cup Series event at New Castle. The following week, another huge paddock filled up the New Castle facility for the first SummerNationals, this side of the Mississippi River since 2010. Opening up the first August weekend, the USPKS hosted its third event in South Bend. The US Rotax Grand Nationals is this week, and then more racing will continue on with regional and national events before reaching the Labor Day weekend. The provisional 2016 schedule has been posted by several national programs, and it appears the same grueling three to four weeks is going to return. Racers are already frowning on the potentially long month after what was a busy July this year. Promoters need to realize that ‘less is more’. Stacking events back-to-back-to-back may be wise for logistics, but in reality only a select few can actually follow them. The majority of racers are going to select a couple, and sometimes just one. We saw that with the numbers slightly down at the USPKS program last week, and the WKA Manufacturers Cup program suffering because of the popular regional competing at the same time. Promoters and organizations need to start getting on the same page, and work together instead of trying to outgun the other. 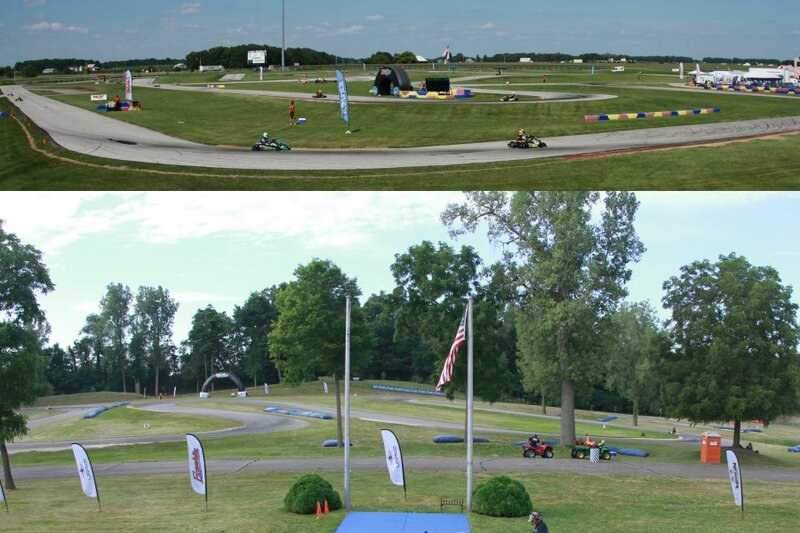 Since opening in 2004, the New Castle Motorsports Park became a landmark facility in the sport of karting. Racers in the region had a new home, while regional and national programs had the opportunity to compete at a facility, developed and built to produce the best racing possible. Karting legend Mark Dismore and his entire family continue to put hours upon hours into making the facility the best, along with adding new amenities each and every year. With the Superkarts! USA Fikse Wheels Pro Tour visiting the circuit for the first time, it gave many west coast racers the opportunity to check the facility off their karting bucket list. Throughout the paddock, racers were raving about the layout and the facility itself. 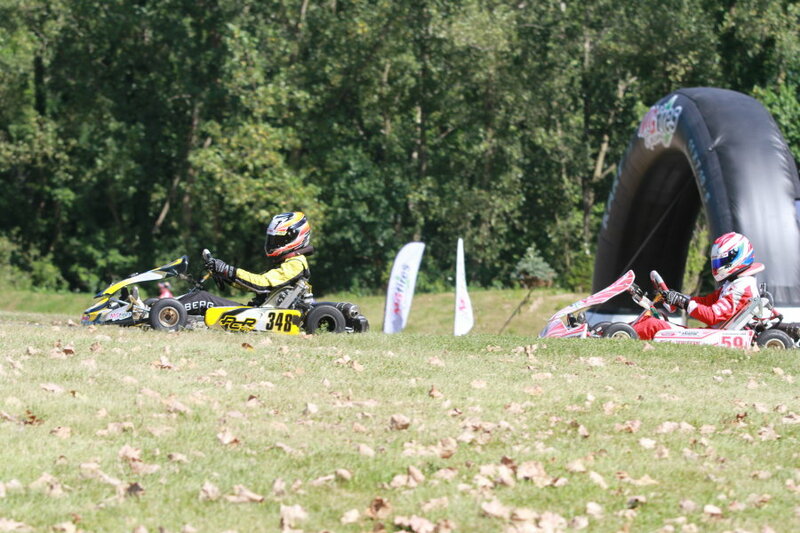 Track manager Mike Adams and his staff had everything in place, and worked so well with the Superkarts! USA staff, CEO Tom Kustcher has already marked the 2016 SummerNationals to return to New Castle on the same weekend. All that remains for Superkarts! USA Fikse Wheels Pro Tour competitors is the 19th annual SuperNationals. The new location of the Las Vegas Convention Center will be the final stage of the championship chase for the eight categories, where all but one has multiple contenders in the hunt. Callum Smith’s two S5 Junior Stock Moto victories in New Castle put him four-for-four on the year, and just needs to stay out of trouble in Las Vegas to claim his first title. Others include at least two drivers who stand out, but nothing is like the TaG Senior championship chase. Eight drivers currently sit within 170 points going into the Vegas week, and with an estimated 88 drivers mapped out to compete, anything can happen. 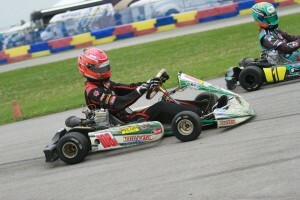 SKUSA also locks in the top-three in each category into the SuperSunday main event. TaG Senior championship leader Brandon Jarsocrak, who has missed the last two features in Vegas, now has a guaranteed starting spot for the main event no matter what happens during the week. The same goes for the top-three drivers in the TaG Cadet, TaG Junior, S2 and S4 standings where the entry cap has been opened to 88 drivers. 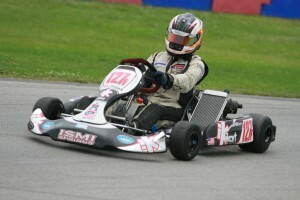 The United States is the birthplace of karting, and continues to be among the most popular countries around the world in terms of participation in the sport. For years, numerous products have been developed and manufactured with the ‘Made in the USA’ stamp, however, the chassis production has dwindled in recent years. Along came iKart. Based in Indianapolis, John Martin developed the idea of his own chassis brand and followed through. For the last few years, iKart has landed on the top step of the podium at WKA, USPKS, Florida Winter Tour, and other events, continuing its development with each month passing. Florida driver Jesus Rios Jr. has been part of that success, and stepped back into an iKart machine for the SummerNationals. Rios put the iKart toward the front in qualifying each day, racing his way up to the point through the heat races, and remained at the front through both feature races. 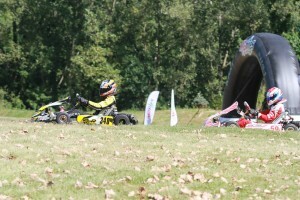 A victory on Saturday was the first for the iKart brand in Superkarts! USA competition, and Sunday’s triumph put Rios into what is now a very close championship chase in the TaG Senior category. Should Rios and the iKart brand duplicate similar results in Vegas, it will be the first American chassis to earn a SKUSA Fikse Wheels Pro Tour championship. Rios also added a 10th place result in the iKart S2 Semi-Pro Stock Moto category on Saturday, showing the versatility of the brand. For the SKUSA Fikse Wheels Pro Tour SummerNationals, the start/finish line moved from the regular front straight to just before the breaking point on the long back straight that led into the original final corner. For years, we saw some amazing finishes, some hard wrecks, and lots of dirt flying with drivers taking it over the edge to reach the checkered flag first. The new position of finish line produced multiple photo finishes, as the draft down the long final straightaway decided many of the finishes. Rather than wrecks in I-70, it was the second place driver attempting to get a good run out of the final corner to allow for the slingshot move just before the checkered flag. 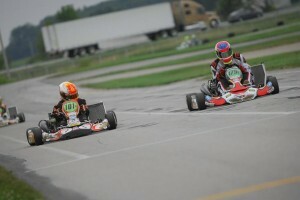 One instance came in the TaG Junior Final on Sunday when championship contenders Brandon Lemke and defending champion David Malukas fought to the line for the victory. Visually, it appeared that Lemke had crossed the line first, while the scoring system declared Malukas the winner. Superkarts! USA rulebook states that the transponder must be located on the back of the seat at a height of 25cm +/- 5cm (20.2.7.9). No where does it talk about an instance where a visual decision can overrule the results of the electronic scoring system, and no one on track argued the results of scoring system. The difference between first and second in the finish is 20 points, and with the two drivers sitting within 35 markers of each other heading to Vegas, it could be the deciding factor of who leaves as the 2015 champion. 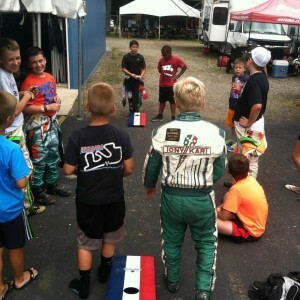 One thing the United States Pro Kart Series is focused on is providing a fun weekend for everyone. Each Friday evening, the series provides a dinner to everyone in the paddock, and some type of game has been offered for all to take part in. The most popular has been the ‘Corn Hole Tournament’. For the kids and even the adults, it is a great time just relaxing and not focusing on who’s fast or what problems you’ve had through the day, but just time enjoy with fellow racers. The series did another tournament after the success of the Shawano event, with another three sets of painted USPKS corn hole boards awarded for both adults and kids. When the Rookie’s and Cadet drivers were done on track Saturday and Sunday, they were found around one of the sets still playing between on-track sessions. The USPKS is certainly providing the fun on AND off the track in 2015. Once again, the Leopard Pro category was under a watchful eye at South Bend. Last year, it was about rough driving. This time, it was questionable starts. Drivers of today are used to the idea that the race begins at the punch-off line. However, from what we have been taught since getting behind the wheel, the race begins when the green flag waves. The longstanding mantra that ‘the race can not be won in the opening corner’ sometimes is overlooked still today by racers, but it can be lost there or in the following few if drivers make poor decisions. Racers should be more aware of when the head flagman is going to throw the green flag, instead of playing games with their fellow front row starter. Opening corner issues are different with each track. The type of corner depends on the action that occurs. Turn one at MRP is banked enough that if the inside driver makes an error, you can bet he’s going to push wide. That leads to the contact we saw throughout the day, which does not equate to drivers being over aggressive. One other way to help limit the contact is drivers giving space. For years, drivers have been taught to put their front bumper on the rear bumper of the driver in front of them. I have seen at other events on the year, that when space is put between drivers during a rolling start, the amount of incidents seems to decrease. Either way, the start of the race is in the hands of the drivers, and they need to respect one another while still fighting for position. The story last month was the four victories by Franklin Motorsports / Merlin driver Brandon Lemke at the US Air Motorsports Raceway. Minus two qualifying sessions and one heat race, Lemke dominated the weekend. 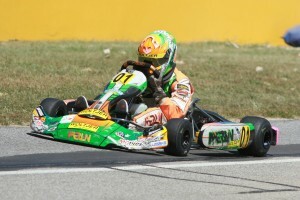 Going into South Bend, the Junior drivers needed to step up their pace in order to match that of the Wisconsin driver. Lemke turned them all down, as he swept the entire weekend in South Bend, leading both categories from qualifying, through the heat races and all four feature races once again. The win total is now at 11 on the season in USPKS competition, with fellow Merlin driver Gio Bromante stealing a win in Yamaha at GoPro Motorplex. Numbers continue to increase for the drivers piloting a Merlin chassis in the series at all age groups. 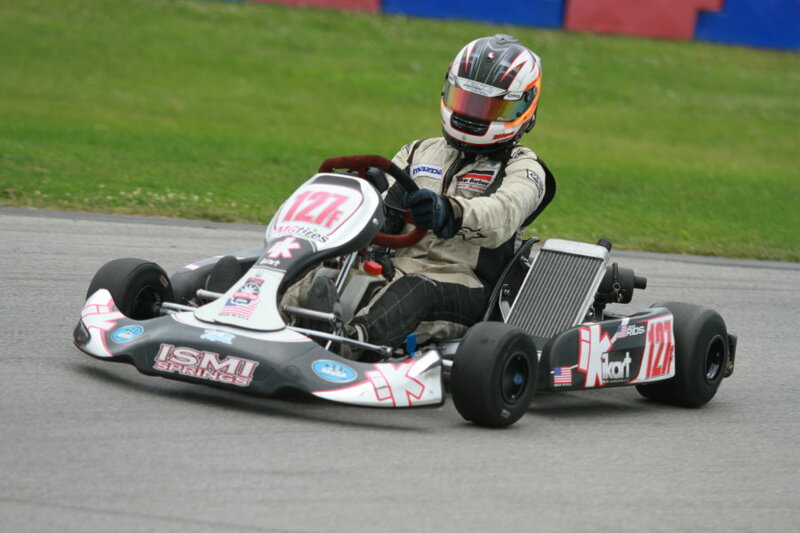 Leopard Pro and Cadet titles in 2013, Merlin is becoming a regular podium contender in all forms, including the recent success of Kyle Kalish at the SKUSA SummerNationals in the S2 division. The Leopard Pro championship has opened up wide thanks to the first-time winners Armin Cavkusic and Ryan Norberg. Cavkusic, piloting a Franklin Motorsports FA Kart, developed his talents at the MRP facility, earning his best finish in 2014 with a runner-up at the same circuit. Saturday, Cavkusic proved to be the quickest driver when racing began, winning both heat races and running away with his first feature victory. The next day was a tight battle with a number of contenders in the hunt. When the feature began, Senior rookie Norberg was on the outside of the front row. A great jump by the PCR driver allowed him to slot ahead of 2014 race winner Elliot Finlayson. The two pulled away and while Finlayson tried, Norberg drove like a veteran, keeping it clean and mistake-free to his first major victory. Four drivers, including Finlayson, former point leader Brandon Jarsocrak, Florida driver Dustin Stross and Praga North America driver Andrick Zeen are in the hunt with Norberg with an outside chance depending on his New Castle weekend. In Yamaha, McAndrews earned his first victory in Shawano, backing it up with a double win performance to put himself in the title chase. The BirelART driver doubled up on his home track, and will need to keep the ball rolling into New Castle as he and two-time winner Dakota Pesek enter the event tied for the championship lead. Prior to the third stop of the season, USPKS series promoter announced the 2016 plans for the program. The schedule begins now in February with a trip down to an undetermined Florida track. Return trips to Shawano, South Bend, and Labor Day weekend in New Castle close out the season for the second straight year. Class structure will also see a revamp. The program drops down to three Yamaha divisions, with Rookie getting the axe in favor of a new Micro Rok division, bumping up the TaG portion to four. 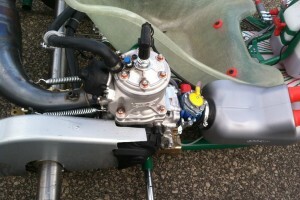 Junior and Senior will remain IAME based, with the engine selection to be determined. The eighth class will be the designated Pro category, powered by the Vortex Rok DVS direct drive engine that drivers have been able to test at Shawano and South Bend. The class will be reserved for competitors 18-years and older. More details on the future are to be announced in the coming weeks, possibly before the season finale in just a few weeks.